I am back from a long break. I am still trying to get back into my blogging routine. Last month end we moved to a new house(very near to our old apartment). We did not realize how hard it was to move with two little kids. The packing, moving and unpacking was just too much on us. Since it is summer break for Ishaan, he is home full time. There were days when we packed and they unpacked everything!. It was exhausting to manage everything alone. God bless V who was trying to manage a very tight work schedule and the move. Probably it is the longest stretch of time where I did not even touch the laptop. I am glad the move is over and we can spend more time with kids again. My cooking during this time has been very basic. I cooked daily but tried to keep it very simple. Most days we had different versions of dals and some side dish. Eggs were on the menu most of the time as it is very quick to make a dish with them. Pasta dishes and soups were regular lunch items. Kokum or sol (as we call it at home) is a staple in my pantry. I get my stash from India. Aayi got me a big batch last year. As days pass, kokum loses most of its aroma and color. So I am trying to use it up soon. I prepared this sola dalithoy last week. It was delicious. Fresh kokum would give it much better color and taste. Increase or decrease kokum according to personal taste. 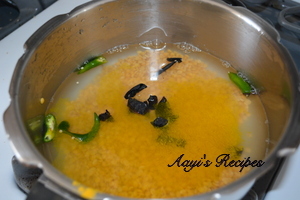 Toor dal with kokum, green chillies, turmeric and water. Cook dal with turmeric, slit green chillies, kokum and water in pressure cooked (about 3-4 whistles) till dal is mushy. Add salt and enough water to dal to get it to required consistency. Cook till it starts boiling, take off the heat. 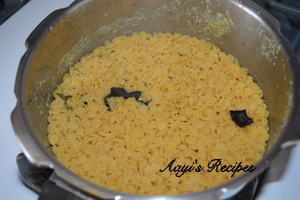 When they start popping, add curry leaves, asafoetida. 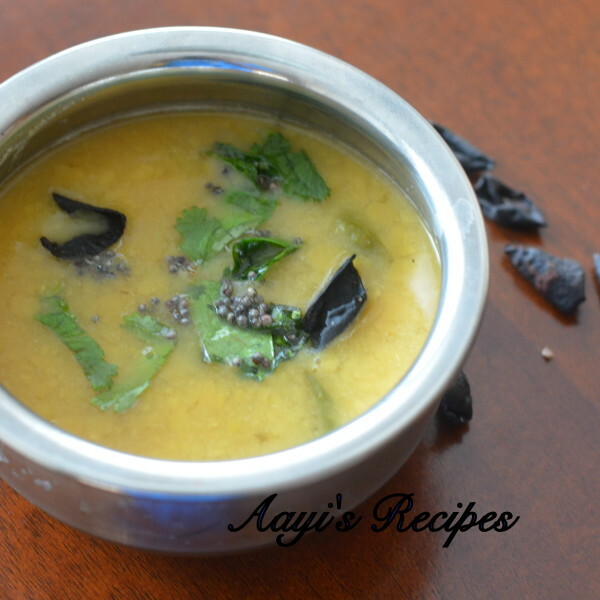 Garnish dal with coriander leaves. Thanks for sharing this Nice Sola Dalithoy, I will defiantly try. Your blog brings out the konkani flavors in them. I accidentally happen to come across the blog but instantly liked the way u have detailed the recepi. I have never tasted kokum. I wanted to know the taste of it. Is it sweet, sour or tangy. I will try this dish when my search for kokum ends. Really a great recipe to try at our home. Foodies can also take benefit of fooodpanda discount going on. Omg! Looks so delicious. I would tell my mom to cook this. Thanks for sharing such a nice recepie. My mom cooked this dish and I must say it was really yummy. Daal is one of the my favourite food and stuff here is looking much awesome. Thanks for sharing the Nice stuff.